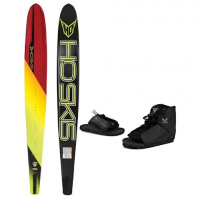 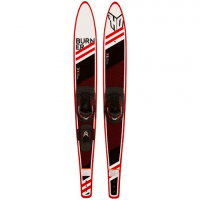 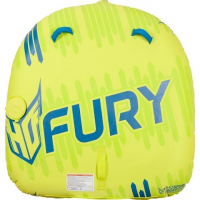 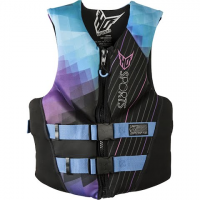 Ho Sports ` Burner Combo is a top of the line setup for aggressive waterskiers who love cranking hard turns off the wake and shooting the slalom course. 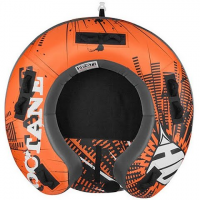 The Dual Action Hand Pump from HO Sports pumps air while pulling up and while pushing down to double the rate of airflow and therefore reduce the amount of time it takes to inflate or deflate your towable. 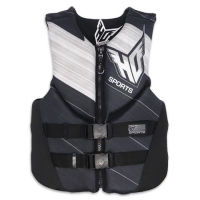 Boston and stem valve attachments are included. 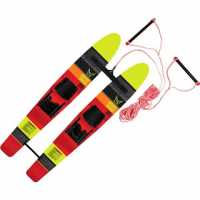 The Youth Hot Shot Trainers Water Ski Combo Set from HO Sports is the perfect way to introduce children to the sport. 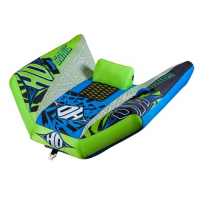 Features include a parent handheld handle for safety and how to DVD.